Parthian Books, Literature Wales and Wales Arts Review have teamed up with Bee Books in Kolkata, India for a new collaborative literature project between Welsh and Indian writers, entitled The Valley, The City, The Village. Taking the title from Glyn Jones’s classic novel The Valley, the City, the Village the project involves three writers from each country visiting India and Wales respectively, focusing on aspects of modern society in locations referenced in the title and engaging with these through writing poetry, prose, blogs and stories. The project will result in an anthology featuring all the writers involved which will be published by Parthian in 2018. 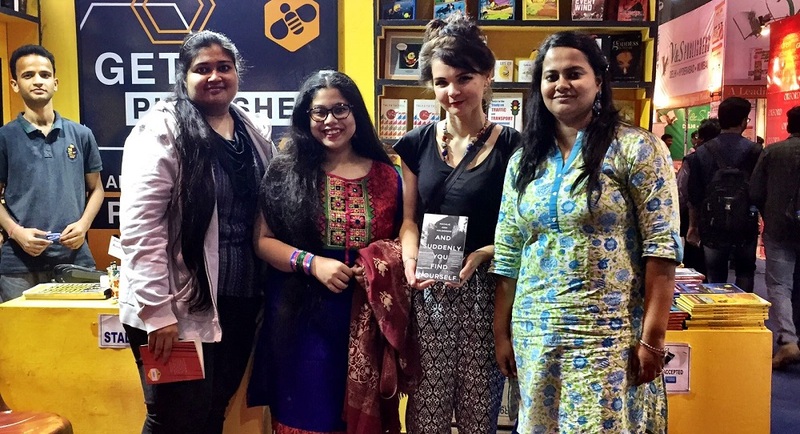 During February 2017, three Welsh writers visited India for three weeks where they attended Kolkata Book Fair, took part in numerous readings, events and projects and collaborated with three selected Indian writers, including Arunava Sinha, a noted Indian translator of Bengali literature. During their stay, they were hosted by publishing company Bee Books, who have launched a list of new European writing across India. The three writers from Wales selected to take part in this project are: Natalie Ann Holborow , Siôn Tomos Owen and Sophie McKeand. Natalie Ann Holborow is a Literature Wales Writers’ Bursary recipient whose first poetry collection And Suddenly You Find Yourself was launched on Saturday 4 February at the biggest book fair in the world, the International Kolkata Book Fair. Sion Tomos Owen is the presenter of the hit TV documentary programme Pobol Y Rhondda whose innovative bilingual collection Cawl has received rave reviews. Sion drew, sang and wrote as part of the project. Sophie McKeand is the Young People’s Laureate for Wales. During the trip to India she led a series of workshops on creativity for Kolkata schools. During the visit, the writers contributed to a creativity blog which was published on the Wales Arts Review website. “And Suddenly You Find Yourself” by Natalie Ann Holborow, on location video shot and edited by Sion Tomos Owen – this is the official video of the project and highlights the launching of Natalie’s debut collection at this year’s Kolkata Literature Festival. The project is generously funded by a grant from Wales Arts International and British Council’s India Wales Fund. 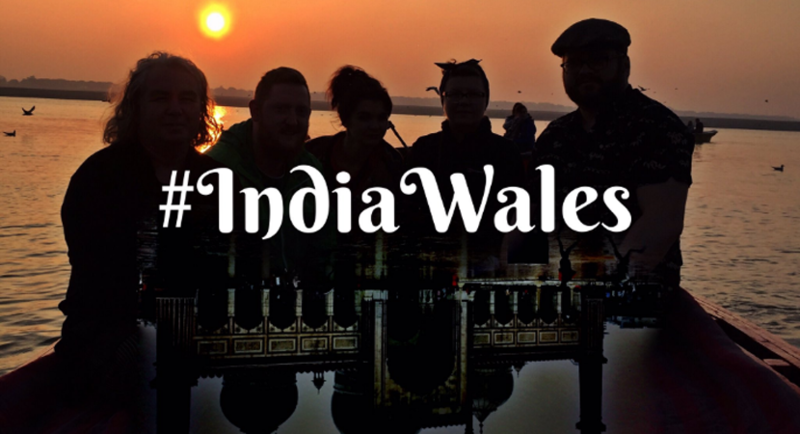 The India Wales Fund is a joint initiative between Wales Arts International and the British Council. The purpose of the fund is to support artistic collaboration and exchange between creative professionals and arts organisations in Wales and India, which will build sustainable relationships and networks between the two countries. This is the only literature-based project funded in this round of application. A high-profile public event at Hay Festival. A podcast by The British Council was recorded at Hay Festival and can be downloaded here. A weekend mini festival in Llansteffan featuring participating writers and Parthian authors. The Valley, The City, The Village will result in a trilingual publication of new writing in Bengali, English and Welsh to be published by Parthian in 2018. The project incorporates prose, poetry, art and reportage from Bengal and Wales. A special 48-page full colour magazine celebrating The Valley, The City, The Village was also launched on 26 May, featuring contributions from all writers. Click here for further information.